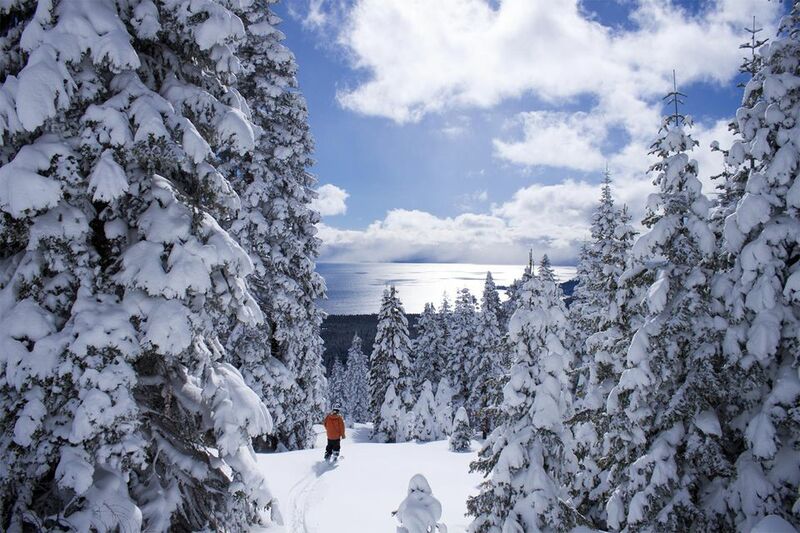 The Reno/Tahoe region of California is famous for its world-class outdoor attractions in the wintertime. Lake Tahoe is the largest alpine lake in North America and is surrounded by winter mountain resorts like Heavenly Valley, one of the premier ski destinations in North America. And in the evening for the adults, Reno and South Lake Tahoe have gambling, music, and entertainment. But if you're looking for some fun indoor family activities, especially on days when the weather isn’t right for skiing and sledding, you’ll have much to choose from in the Reno/Tahoe area. Here are some ideas that are sure to please the whole family. The Reno area has four multi-screen movie theaters, a cinema at the Grand Sierra Resort, and the very cool film features at the Fleischmann Planetarium. And there's an IMAX theater in Sparks. Winter usually means a bunch of Oscar-worthy releases. Check out what's playing and settle in for a fun (and warm) afternoon or evening. The two-screen Grand Sierra Cinema is open seven days a week. Tickets are only $4 per person and the shows are family-friendly. The theater has a full-service snack bar with candy, popcorn (free refills on large and extra-large servings) and fountain beverages. You can take in the special movie showings at the Fleischmann Planetarium and Science Center theater at the University of Nevada and learn about things like black holes and the dark side of the moon. There are shows every day and on weekends and the list of topics will change periodically. The planetarium is located at N. Virginia Street in Reno. Bowling is a good old-fashioned way to have fun with the family. Reno, Sparks, and Carson City have a good selection of bowling alleys as well as some surprising bowling alleys. The only stadium of its kind in the entire world, the National Bowling Stadium is located in downtown Reno. The stadium is recognizable for an 80-foot aluminum geodesic dome on its facade, which looks like a large bowling ball. At the Stadium, there are 78 championship lanes. Enjoy a meal at the snack bar overlooking the lanes. The National Bowling Stadium also boasts the longest video screen in the world, displaying videos and graphics on 440 feet of screen. When you walk in, you'll be greeted by a bronze sculpture depicting a family on their way to bowling, a favorite photo backdrop for visitors. The Coconut Bowl at Wild Island Family Adventure Park The Coconut Bowl offers 32 public bowling lanes, along with two rentable bowling "garages," which have four lanes each. Its fun to bowl with laser lights and music every night from 5:30 p.m. to closing and the little kids will have fun with bumper bowling. Reno has a wide selection of indoor play places and gyms where families and kids can have fun and get some exercise when it's cold outside. Indoor playgrounds offer open play times, party rentals, and daycare. Roller Kingdom in Reno offers special family skate nights and daytime hours as well as lessons. They are centrally located. RockSport is the only full-service climbing gym in northern Nevada and offers lessons for kids as well as climbing birthday parties. RockSport accommodates kids, beginners, seasoned climbers and everyone else. If the kids still have some energy to bounce off, there's always the trampoline park. EZAIR indoor trampoline park and laser tag arena provide a fun, family environment with lots to do. Jumping and laser tag sessions begin at the top of every hour and you can make reservations. In addition to permanent galleries and rotating exhibits, the world-class Nevada Museum of Art in downtown Reno has lots of family and kid-oriented activities, some of which are free. The Nevada Museum of Art permanent collection is divided into four thematic focus areas: Altered Landscape Photography, Art of the Greater West, Contemporary Art, and the Work Ethic. In addition, rotating exhibits will intrigue art-loving kids. They have docent-guided tours of the collections. The National Automobile Museum is open every day except Thanksgiving and Christmas Day. Car buffs could spend hours here checking out the classics. A movie cars exhibit and movie nights provide great entertainment for kids of all ages. Families can dress up in period costume and have their photo taken in a historic car. The museum also offers The Passport to Adventure activity booklet which is fun for families visiting the Museum as they explore the special exhibit, 1908 New York to Paris Auto Race, Featuring the Winning Car, the 1907 Thomas Flyer. The passport includes stories, a map of the international race route, word searches, word scrambles, connect-the-dot drawings and more. You can download the passport before your visit. The Washoe County Library puts on programs for families and kids of all ages. Or just browse through the books and pick out a stack to take home and read by the fire with a cup of hot chocolate. There are quite a few branches including one in downtown Reno. The library offers a range of story times, some for toddlers and some for the whole family, as well as themed readings for special holidays such as Dia de los Muertos in November. The Reno Parks, Recreation, and Community Services Department holds winter break camps for kids ages 6 to 12.5 at various locations around the city. The camps will keep your kids entertained with sports, games, arts, and crafts, and field trips over the winter break period from school. Part of the camp schedule involves swimming at local pools. The City of Reno has several aquatic centers where families can swim and kids can take lessons whether or not they are participating in a day camp experience. The Reno Bighorns is the city's D-League professional basketball team. Home games are played at the Reno Events Center and offer lively entertainment at this downtown Reno venue. Enjoy some great basketball and cheer on the Wolf Pack at the University of Nevada at Reno's Lawlor Events Center. Both the men's and women's teams play a schedule of home games during the winter months. The Reno Philharmonic, Children's Museum of Northern Nevada, and the Terry Lee Wells Nevada Discovery Museum offer a full range of cultural activities and outstanding entertainment during the doldrums of winter. At the Children's Museum in Carson City, kids can enjoy interactive displays, attend story time, and learn about biomes. At the Discovery Museum in Reno, kids will be wowed as they participate actively in learning about science, technology, engineering, art, and math. The Discovery connects learners of all ages with exciting opportunities to explore a wide variety of ever-changing topics. This attraction is an indoor arcade at the Boomtown Casino Hotel. There are lots of fun things to do, including a flight simulator, carousel, Ferris wheel, and more than 200 video games. There is also a party room for rent if you want to let the kids bring their friends and a snack bar. There are several family-friendly dining options including a replica of a Mels Diner. When you visit Mels, you’re experiencing part of the American dream. Mels was popular in the fifties and sixties. You can enjoy American classics like burgers and shakes.